Your own son is the one who started this thread with a mad face emoji! Tech's budget is $8.6 million greater than ULM, and somehow ULM found a way to hire a 10th assistant. There is no excuse. McClelland deserves to be called out. That's why Skip threw McClelland under the bus at C-USA Media Days, to publicly embarrass McClelland enough to get his 10th assistant. It should never have come to this, but here we are 15 months later. But... "Everything is GREAT!!!!! You are FAKE FANS... Haters HATERS!! STUPID fake fans. 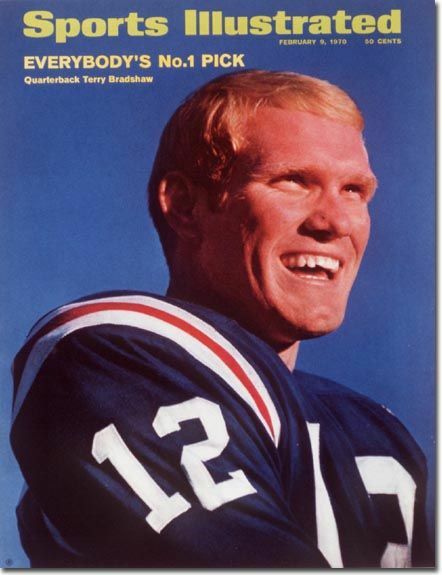 I saw Terry Bradshaw throw 6 interceptions. POSERS!!! Snowflakes!! I've been a real fan for 55 years. YOU ARE ALL FAKE FANS!!!" The mad emoji face was the correct emoji to use in this instance. It is unthinkable we would not be able to hire the 10th assistant. Terrible planning by TMAC. This is a screw-up nearly on the level of BVDV bowl fiasco. Just think about our AD for 22 of the past 24 years....joakes, bvdv and tommy. We could be the premier Group of 5 program if we had competent leadership. Heck yeah. Looks like a hire in the Bustle/Husdpeth tradition. They should be able to maintain their stellar brand of football for as long as he walks the sideline. It really makes me sick to my stomach to think what we could be if we didn't burn it to the ground as soon as anything good gets started. It is embarrassing that we are the only school without a 10th FB assistant. Yet, we have TWO Women's Basketball Head Coaches, from the same household. Not really, but if it cheers you up, that was my intent. How many coaches does it take to screw in a lightbulb? Not as bad a basketball when you see more suits than players on the court. I have never understood this. Basketball needs 3 guys on the sideline not in uniform. How do we know that our AD made the call? Maybe it was his boss. With all the cuts being made by our state government to higher ed, it may not be PC to hire a coach when faculty staff hires are not being allowed. I'm no fan of our resume building AD, but I thought I'd throw this out there. If anyone is attending the Shreveport event tonight, that would be a good question to ask. There's a Shreveport event tonight? If we were the only school in the state to hire one, maybe. Otherwise, I'd think this is how it would go down "hey LG we need to hire a 10th coach." "Great Mr. AD hire one." "Yea but uhhh we don't have the money." "Well you aren't getting any more public funds and it isn't coming from the foundation." However it went down, I believe it was more political than lack of available funding. I also believe it will get fixed and we will have the 10th coach. Dont think the absence of a 10th assistant is going to matter in Ws and Ls, and not sure that it really matter otherwise. However, I bet we have one this time next year.